Just because they're famous, it doesn’t mean they don't do weird things. Some of the most famous and successful people from the past and today have some of the strangest habits. Modern successful leaders also have a few funky habits. During moments of intensity or if he just needs to clear his mind, Microsoft’s Bill Gates takes to rocking in a chair to help him relax. Apple's late co-founder Steve Jobs had a habit of crying. 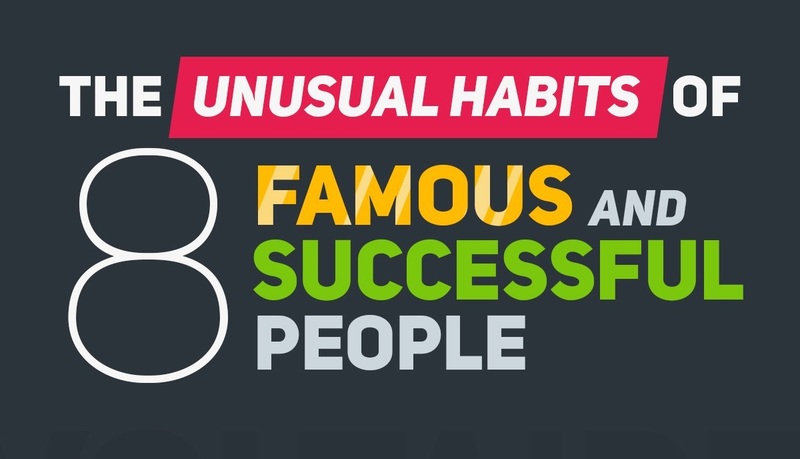 To learn more about the unusual habits of the rich and famous, check out infographic below.